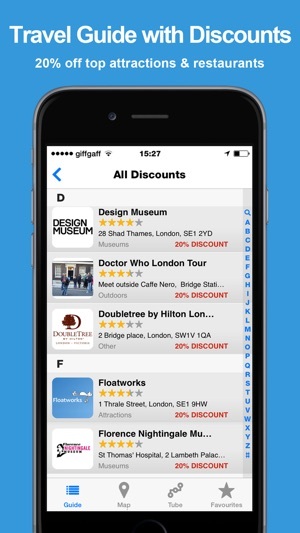 London for Less is the only offline city travel guide that actually saves you money. You could save up to £40 per day* at over 120 attractions and restaurants. London for Less travel guide works entirely offline. 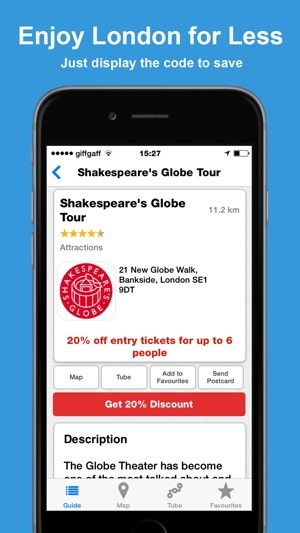 Access London’s street and underground map with GPS positioning, and discounts for top London attractions, tours and restaurants. Available in English, French, German, Italian and Spanish! 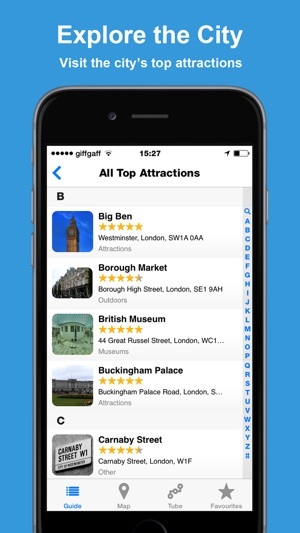 • Street Map: Search places, museums, and attractions nearest to you or anywhere in central London with GPS. 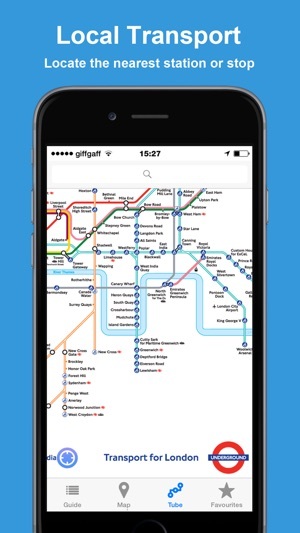 • London Underground Map: Official Transport for London Tube map. Search and find any stop. • The Guide: compact guide with information on the most popular London attractions (Buckingham Palace, Harrods, British Museum, St. Paul’s Cathedral and more), museums, galleries, restaurants, shops, and other points of interest. • Attractions: Ripley's Believe It or not, Tower Bridge Exhibition, Shakespeare’s Globe Tour, Harry Potter Walking Tour, City Cruises, Chelsea FC Stadium Tour and more. • Restaurants: Pizza Express, Planet Hollywood, Café Rouge and Bella Italia among others. I have no phone when going out with Internet as I don't like paying monthly fees. So this is just great as I can now go out with my Itouch and get bargains off line which is just fab. Great. Find your way around London using the map and tube map, work out what to visit, and also get discounts on eating out and the places you visit.